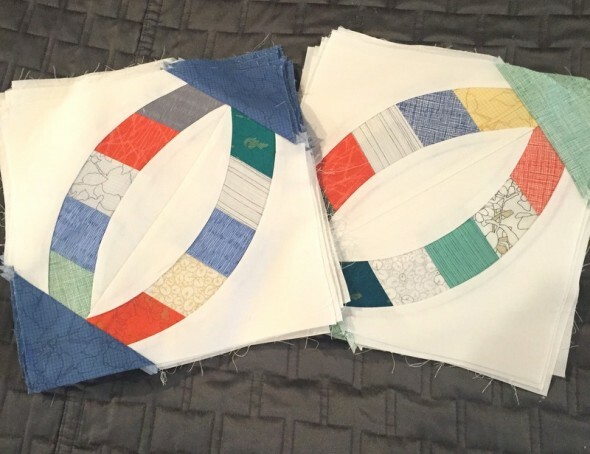 Other posts on this project: Maggie’s Wedding Quilt Pt. 1, Maggie’s Wedding Quilt Pt. 2. It’s coming along so much! I finished the top before we left for Las Vegas, and I made the backing when we got home. 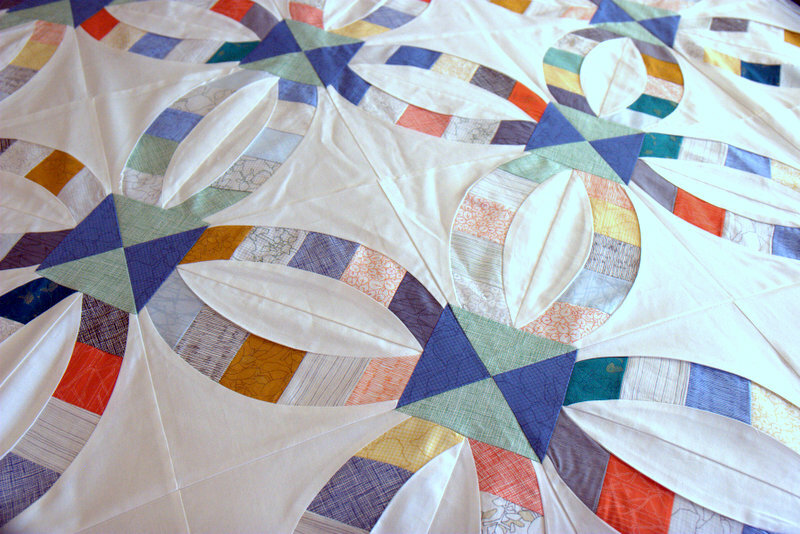 It’s all sandwiched, and I started on the quilting this weekend. That will be a time task, I’m doing different motifs on every square. And actually, every part of each square. Piecing the top took quite a lot of time. The blocks were time consuming to assemble, but not difficult once I got into a flow. And squaring all of them up also took some doing. I really love how this is coming together, and I hope Maggie and Dave love it, too. I can see all of the little flaws right now, but I’m hoping that when it’s finally finished it will be everything I pictured and they’ll love it. Looking great! Would you consider demonstrating the technique at JSMQG meeting?